Antony Ghislieri was born to humble parents in 1504. As a child he had been a shepherd. He entered the Dominican order at age fourteen and his conduct there was exemplary, particularly his devotion to an ascetic life style. This became his defining characteristic throughout his life. He was ordained in 1528, taught theology and philosophy and served his order in high offices. Ghislieri was a model of personal integrity and ascetic holiness. As an abbot he demanded the same piety from his friars. As soon as the Inquisition was established, he became its Inquisitor near the border of Protestant Switzerland, and in 1557, Paul IV appointed him Grand Inquisitor at Rome. It is interesting to note that when he carried out the duties of this office, which included the severest of punishments, he would then pray and fast for long periods of time. During the papacy of Pius IV the power of the Inquisition was reigned in and Ghislieri lost favor with the pope and the Curia. 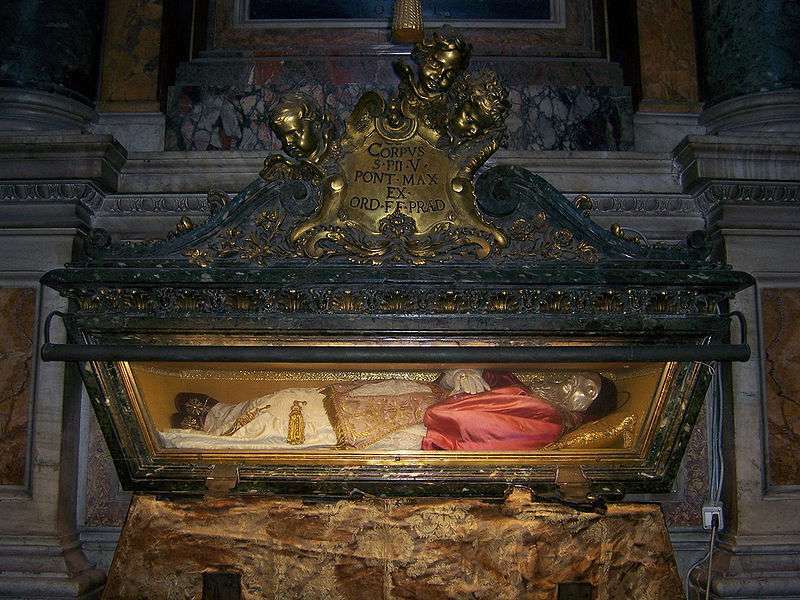 He was transferred to the bishopric of Mondovi (although, due to being robbed by thieves he never made it there). 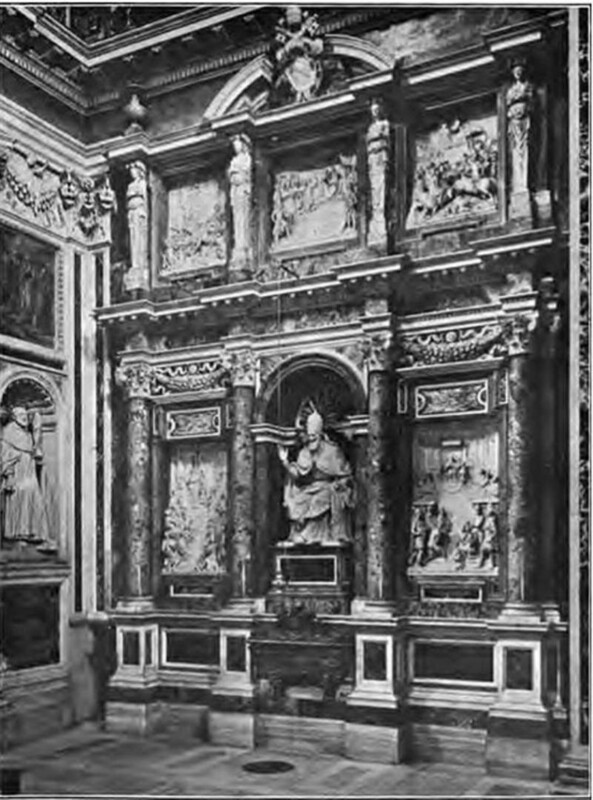 Upon the death of Pius IV and on the recommendation of Charles Borommeo who had control of the conclave of fifty-three cardinals, Ghislieri was elected in January of 1566. Taking the name of Pius V, his coronation was anything but similar to previous ones. It was a low-key affair and the money saved was used for the needs of the poor. Nothing about his personal behavior changed upon his elevation to the papacy. He continued to pray and fast with the same vigor. He wore his hair shirt, slept very little, walked barefoot in processions to the different churches and was always a model of sincere devotion asking nothing of anyone that he was unwilling to practice himself. It is said he daily washed the feet of the poor who came to him seeking help. He visited hospitals to comfort the dying and remained devoted to the needs of the poor throughout his life. In addition, it fell to him to implement the decrees of the Council of Trent. He continued the work of Pius IV on the catechism, and he published it. He revised the breviary and established the form of the Mass, which has lasted until the present time. Priests were required to live in their parishes, and religious orders were examined and appropriate measures taken if necessary. Wholesale indulgences and dispensations were curbed. While not all clerical abuses were stopped during his pontificate it was evident that that was the intention mandated by the papacy as an institution and not just by this pope as an individual. However, Pius’ severity was not thought by everyone to be the correct approach. He was ruthless in his attempts to excise all manner of immorality and heresy both in the papal court and in the Church at large. Such was the case in his condemnation of Queen Elizabeth I of England when he excommunicated her in 1570, alienating England and causing a wave of vicious persecution against Catholics. 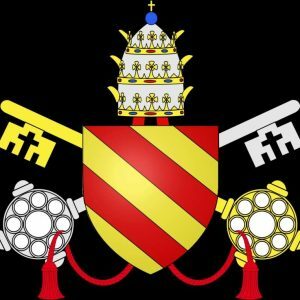 This vicious persecution of Catholics in England had its counterpart in the severe and bloody persecution the Church inflicted on Protestants elsewhere. In Italian dioceses under Pius’ direction and with Charles Borommeo leading, the sovereigns were eager to assist in the carnage that followed. The clearest message for excising heretics from their midst was given to Philip II of Spain to whom Pius wrote, never give in; never show mercy; get rid of heretics; get rid of those who resist; persecute to the very end; slaughter, burn, put everything to the torch and draw blood for the Lord to be revenged. So severe were the affects and power of the Inquisition that heresy virtually disappeared from Italy. Another great concern of Pius’ pontificate and one that occupied his final years was the encroachment of the Turks with their victory over the Venetians in Cyprus. This led to the high point of his foreign policy. He was able to form an alliance against the Turkish fleet at Lepanto, defeating them, thereby putting an end to their influence in the Mediterranean. The Battle of Lepanto took place in October of 1571. 30,000 Turks were killed, 10,000 were taken prisoner, 90 ships were sunk, 180 were captured, and 15,000 Christian slaves were set free. Pius attributed this victory to Mary and established a feast in her honor to commemorate it. Eventually it became the Feast of Our Lady of the Rosary, and the month of October became dedicated to her. In his Apostolic Constitution on Praying the Rosary, 1569, Pius outlined his great faith in Mary and his devotion to her through this prayer dedicated to her. He did not approve of the peace treaty in 1570 with the Huguenots, the French Protestants of Calvinist persuasion, that granted them liberty and all manner of freedom. Pius was grieved over this treaty and angry about it, because he believed worse disturbances would follow. 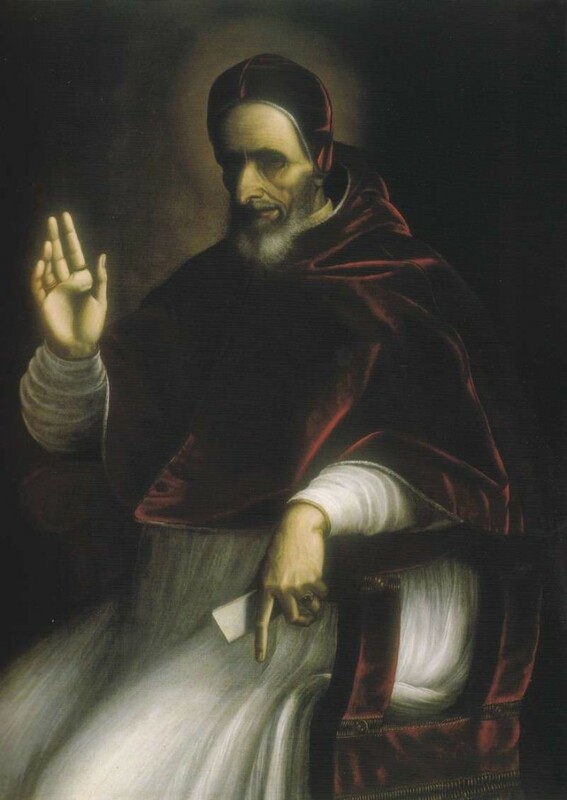 His single-mindedness, devotion to the point of intolerance and relentless persecution of heresy and heretics caused him to be seen as the great reform pope who put into practice the Tridentine (Council of Trent) reforms that have influenced the Catholic church to the present day. 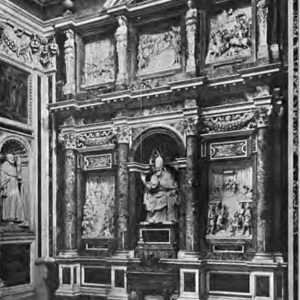 Pius V died in 1572 and is buried in Rome in the Basilica of St. Mary Major. He was sixty-eight years old. 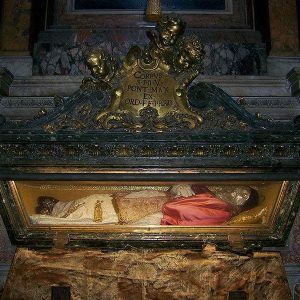 Pope Clement XI canonized him in 1712. His feast is celebrated on April 30th. Pious tradition states that the Virgin Mary appeared to St. Dominic and gave him the rosary. Though Dominic and his order really are responsible for popularizing this form of prayer, in fact the rosary predates Dominic by at least 100 years. In reality, the rosary had a slow development.